Mason has been talking about Inside out since the second he saw the first preview. We heard so many great things about it and we couldn’t wait to watch it but for some reason it took us a while to get around to it. The other night I received a review copy in the mail and since Mason didn’t have school the next day we decided to make it a movie night. I was just as excited to watch it as Mason and Kyla were. 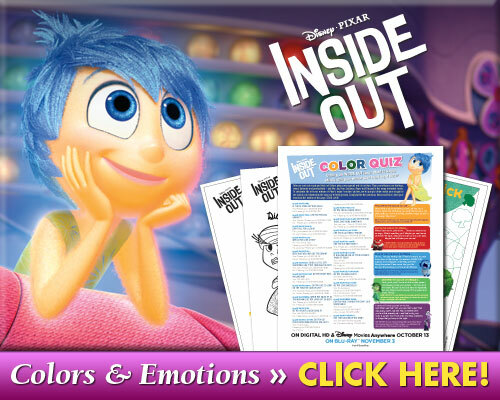 What’s Inside Out all about? I knew there would be a lot of opportunities to talk to my children about emotions but I didn’t realize how many there would be. We learned some important lessons and I’ve already used Inside Out as a vehicle to help me talk with Mason especially about emotions. A lot of those conversations are based on the Lessons Learned from Inside Out. There are many different “islands” that make up our personality, as we grow up they will all change but that doesn’t always mean they will disappear. Family Island and Friendship Island are two examples of how things may change but always be there. The islands gave Mason and I a great chance to talk about the things that he loves and what helps make him special and unique. The best way to experience life is by having a wide range of emotions. There is a reason that the only emotion we feel isn’t Joy! You need all of the main emotions, Joy, Sadness, Anger, Disgust and Fear in order to get the most out of life. They balance each other out and it’s okay to feel things besides joy. When I talk to Mason about is emotions I let him know that it’s okay to be angry or sad and we just have to work through it together so we can head back to joy! Without Sadness there can not be Joy even if Joy was first on the scene. This was the main lesson that the main emotion in the movie, Joy, needed to understand. She couldn’t understand why Sadness was even there but by the end of the movie she completely understood. You need sadness, it helps with empathy and it helps you realize just how important and precious Joy is. If you’re looking for a way to bring up these emotions with your children in a fun way these coloring pages should help do the trick. You can color a page per day and talk about things you may feel when you’re experience those emotions. You can even talk about what emotions are created when emotions are combined (anger and sadness may result in disappointment or frustration). Haven’t seen Inside Out or can’t wait to own it? Inside Out is now officially out on Blu Ray/DVD. You can get your copy here. We absolutely loved Inside Out, we’ve already watched it twice since we got it and I’m sure we’ll watch it again soon. This is a must have for your DVD collection with so many awesome take home lessons! I haven’t seen this movie yet but it sounds really cute! My grandsons would enjoy it!